Experience the depth, power and definition of the Celestion PULSE15 bass speaker in a 1×15 ported cabinet configuration. 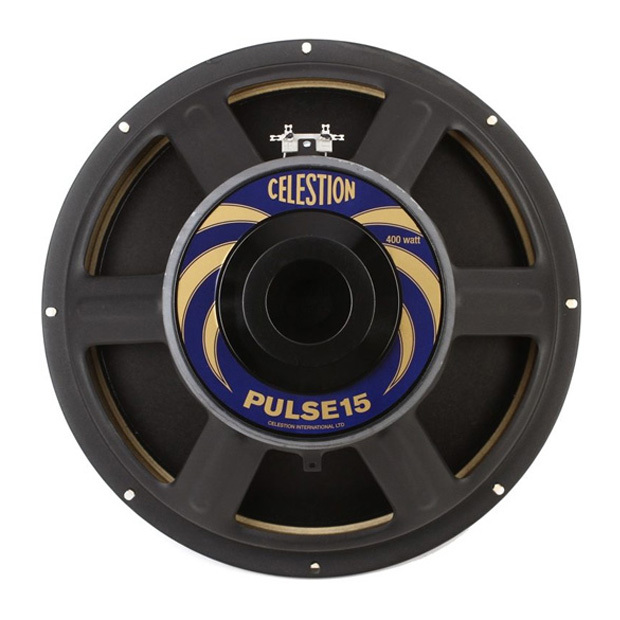 Part of our PULSE bass speaker range, the 15-inch Celestion PULSE15 is a bass guitar powerhouse effortlessly delivering cavernous, low-end tone. Designed to expertly hold down the bottom end, it retains all the clarity and definition you’d expect from a Celestion speaker, with great balance across the frequency range. This 1×15 cabinet pack consists of speaker IRs for three microphones – a Sennheiser MD421, Neumann U47 FET and AKG D112 – each located in six different positions to produce six different tones, termed within the files as Balanced, Thin, Fat, Bright, Dark and Dark 2. The files also include room IRs made using a Neumann TLM 107 microphone in left, right and stereo positions. Our bass impulse response packs also feature an additional High Frequency mic recording (made with a Neumann KM84) to provide an extra dash of top-end ‘zing’. All our bass IR files are in .WAV format for full compatibility with our range of guitar speaker IRs, for use on most DAWS, IR plugins or amp modelling software.